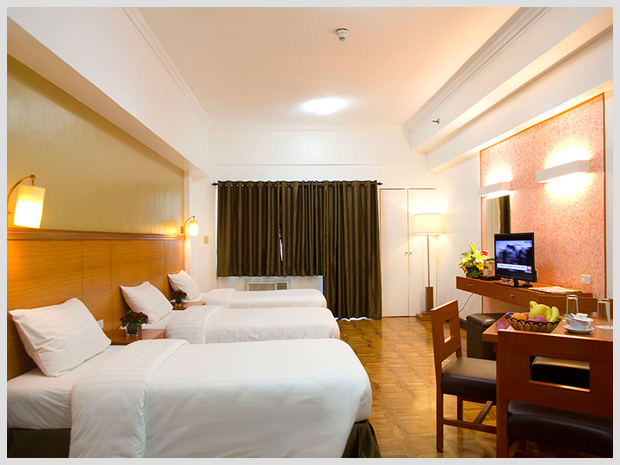 Enjoy a more spacious room for three (3) as BSA suites offer you a triple sharing room for only 920PHP per person or 2,761PHP per room (Room Only). Optional set breakfast at P150 net per person. Take advantage of the Triple Sharing promo. It's cheaper and better rather than getting an extra bed or another room. 1. Valid for daily check-ins from October 1, 2017 to December 31, 2017 except on peak dates and subject for room availability. 2. This voucher should be based on triple sharing in Studio Executive Triple room.